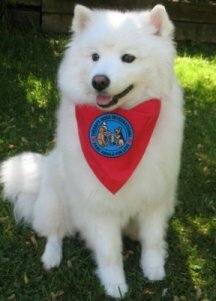 I have owned American Eskimo Dogs since 1985, my first eskie was compliments of my son. AJ, was from a back yard breeder and had many health issues throughout his life. I nicknamed him the million dollar dog. 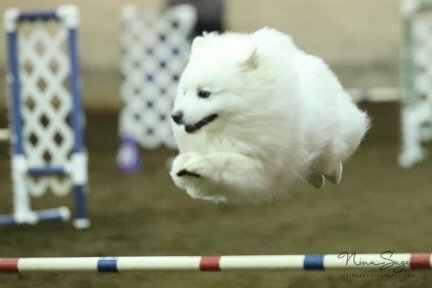 My interests expanded over the years, Keluk my 2nd eskie, trialed in obedience and is the only Canadian born eskie, Utility Dog Champion. Keluk was not the best bred dog out there. He was in a barn with many other puppies. I became interested in conformation, and waited about 2 years for my first conformation dog. I did more research this time, making sure he came from parents with health checks. For a couple years I had toyed with the idea of breeding, but felt I didn’t have the knowledge at that time. When i felt I was prepared and had enough knowledge under my belt Chawne came into our pack. Two years later, in 2004 I bred my first litter. Note breeding is not for the faint of heart. My first priority has always been to produce sound, happy, well adjusted puppies, from health tested breeding stock. 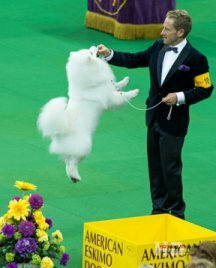 INUK SET AN ALL TIME RECORD THIS FEBRUARY 2018 AT THE WESTMINSTER KENNEL CLUB BY TAKING BREED 9 TIMES! Kilaun wins Puppy Sweeps, Best of Winners and Best Puppy!